According to Neilson, almost three-quarters of Irish shoppers are leaving their main Christmas grocery shop until this week, with nearly one in four leaving it as late as Friday or the weekend. 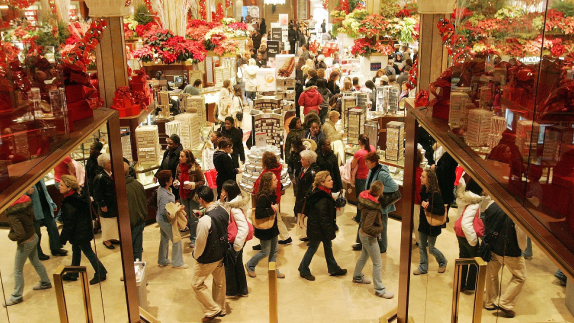 Irish shoppers say that they are planning to spend less on Christmas groceries this year, the research finds. 15 per cent of shoppers say they will be spending significantly less than last year – only 2 per cent say they will spend significantly more – whilst 20 per cent report spending a bit less and 15 per cent spending only slightly more. Friday 22nd is set to be the biggest grocery shopping day of the year, with one in five (19%) doing their main Christmas grocery shop that day. Almost 70 per cent of shoppers say they will buy something they wouldn’t normally buy if it is on promotion, while 54 per cent say they are more impulsive when doing the Christmas grocery shop, buying things they wouldn’t normally buy. This probably contributes to the fact that 43 per cent of shoppers report buying too much food in their Christmas shop. Nielsen say that the early signs are that it’s going to be a particularly good Christmas for the alcohol and confectionary sectors, which saw consumer spend increase 4.2 per cent and 4.0 per cent, respectively, year-on-year to the 3rd December 2017. A close look at the figures show that 35 per cent of Irish shoppers will use loyalty card vouchers or points they’ve saved up, 25 per cent will cherry-pick products from different supermarkets depending on prices. Thirty percent will employ similar tactics in a discounter and 15 per cent say they’ll do their main Christmas grocery shop at a discounter. Fifteen per cent are planning a cross-border shop in Northern Ireland, most commonly for alcohol.